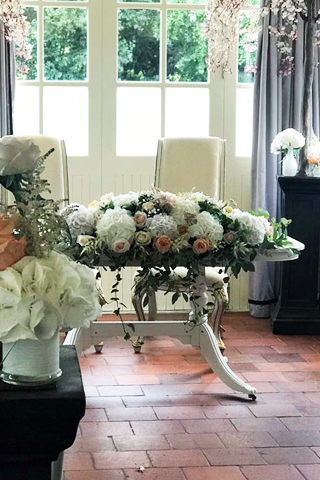 The table centrepiece is a very important arrangement at a wedding reception, as a guest at a table you want the flowers either to be sitting low on the table or on a tall vase or stand in the centre. You never want to block the view of a guest chatting around a table. In this gallery you will get an idea of what can be created for you.